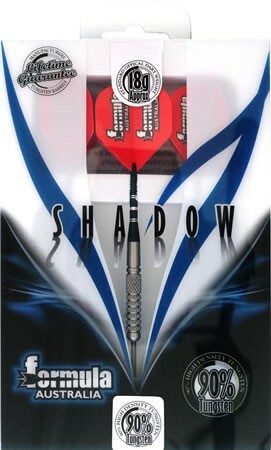 The Shadow is the finest example of dart engineering and innovative tooling available today. State of the art multi-axis manufacturing combined with quality assurance ensures precision. Sintered 90% tungsten guarantees the lowest vapor pressure and the highest tensile strength. Tungsten also has the lowest cost efficient of thermal expansion of any pure metal and its corrosion resistance is excellent.